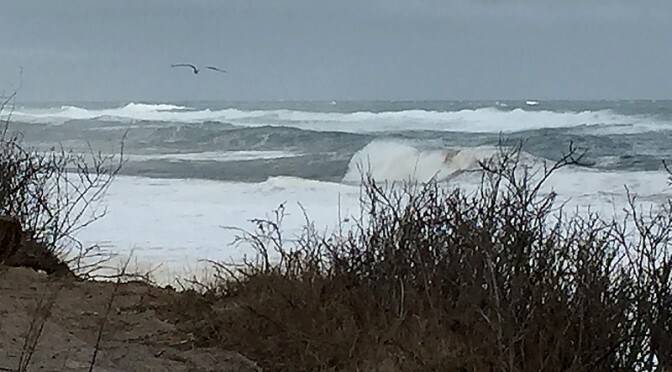 The morning after the blizzard this past weekend on Cape Cod saw waves that were unreal! They were huge. You couldn’t see any beach or sand at any of the beaches that we stopped at which included Boat Meadows, Nauset Beach, Nauset Light Beach and Coast Guard Beach. The waves consumed the entire beach! Powerful! Makes you appreciate how tough that seagull must be! It must have been some work to get out there for this shot, but it was worth it! Thanks for sharing.